Summertime is vacation time! Get into the car or onto a plane and get out of your every day life for once. Tranquil beaches, exotic cities, new cultures; in our summer vacations, we all seek to have fun, relax, and see something new. What you bring home are memories, souvenirs, new revelations maybe. And vacation photos! Showing off vacation photos is still a very common thing. Back in the day, friends and family gathered to watch a slide show in your living room. Nowadays, you can show off your favorite photos online, on Facebook or via different slide show applications. You can make the experience of looking at your picture slideshow more appealing to your friends, family, or followers! 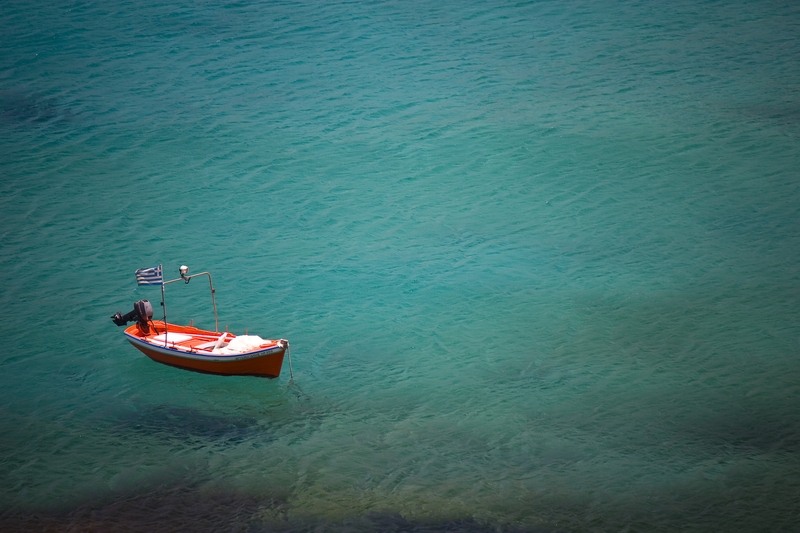 Add some atmospheric music or ambient noises to your slideshow – we show you how! Many photo uploading services like Flickr provide the possibility to view the uploaded photos or albums as a slideshow. Such an online slideshow or the link to an album can easily be shared over the web or even on a social media profile. This way, friends and family don’t have to gather in your living room at a set date to look at the pictures. Instead, they can choose when to look at them – and when they want to do it again and again. While pictures are said to express more than a thousand words ever could, watching a slideshow on a screen is not by far as atmospheric as when you were there, taking the photo. However, you can add some of the atmosphere and thus help your friends, family, or other viewers to understand the beauty of the moments you captured. If you click on “Blend with URL”, you are redirected to a photo album that opens in a new tab. Since it is a Flickr album, you first have to activate the slideshow. Once you did, you can lean back and look at the pictures while the mix creates a nice beach atmosphere with it’s ambient noise background. To add the link, simply paste it into the according field when creating or editing your atmosphere. Then, all you have to do is send a link to the atmosphere and tell your friends to blend it with the URL you specified. Other online services do not only provide a slideshow feature as some kind of additional feature, but actually specialized on slideshows. With effects, editing options, and more, they allow you to create stunning presentations and slideshows from your vacation photos. 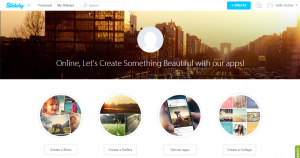 Slidely provides the possibility to create photo slideshows with musical backgrounds. You can upload your pictures or connect to one of your social media profiles. This way, creating a slideshow using a photo album from Facebook is done even more easily than uploading all pictures separately again. Next to choosing music from SoundCloud or YouTube, you can upload your own pieces of music for the slideshows as well. This is where you can upload the atmospheric ambient tracks that accentuate your vacation photos perfectly. Once you chose your perfect piece of music, it’s time to add some finishing touches to the slideshow. And then you can finally share the finished product with your friends, colleagues, family, and the social web! 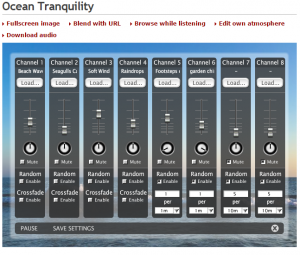 Which ambient noise background fits your vacation photo or other slideshow best is all up to you. Beach sounds are perfect for summer vacation photos that feature the beach, palm trees, and scenes in the hot sun. Photos taken on a city tour – whether it’s to Beijing, New York, or Rome – gain from the busy city ambiances you can find in the according category. But of course, nature sounds, the ambient noise from a baseball or football game, or just some relaxing music could be a good choice as well.